Rory met with a group of 16 National Farmers’ Union members to discuss the needs and concerns of Cumbrian farmers. Mr Stewart opened the meeting by praising the farmers who are working together to isolate the affected area of bTB and applauded their own personal efforts in industry participation stating that “the current model being used to eradicate bTB has only been possible because of the joint effort between the Animal and Plant Health Agency and individual farmers”. Rory said “Agriculture is essential to our economy. More than any other area, Cumbria relies on this industry and anything that has a detrimental effect on it will have catastrophic consequences”. The group discussed the current issues surrounding Brexit and what outcomes the various deals would have on the agricultural industry in Cumbria. There were strong concerns in the room regarding a ‘No Deal’ Brexit and what that meant to farmers on the ground. The group also questioned the lack of agricultural White Papers; stating more that policy documents produced by the Government on agriculture would help the general public understand the size and importance of this industry. Finally the group discussed Upland farming and environmental schemes that many of the members are involved in and asked how they could help to impress on the government the changes needed to be made so they could support both environmental schemes and also run successful uplands farms. The meeting finished positively with the group thanking Rory for all his support. 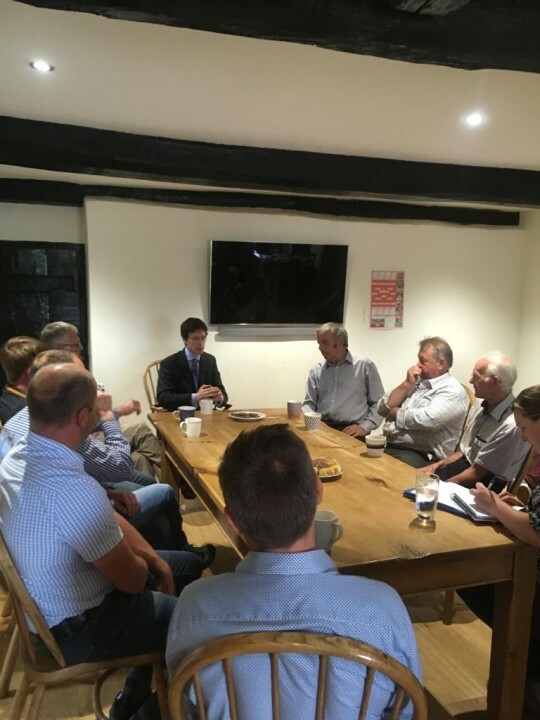 On leaving the meeting Rory Stewart said: “With a clear message from both the NFU and the government we can ensure agriculture is in the public eye and support this essential industry in Cumbria and the rest of England”.